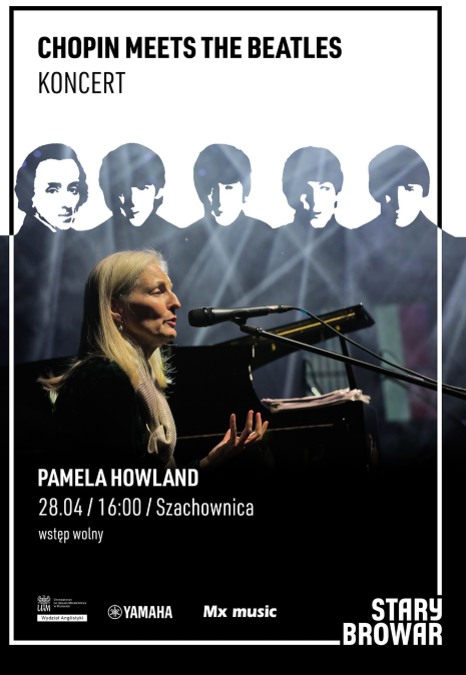 During April and May I have had the great pleasure of giving several concerts and interacting with students at both the University of Warsaw and Adam Mickiewicz University in Poznan, my host institution. The ingenuity of Polish designers of posters never fails to amaze me. So, I have included a few here, along with several accompanying photos and links from these very diverse performances, in hopes that you will enjoy them too! Concert at Łaźnia Galeria, Radom, April 16, 2018. Thanks especially to Karolina Adamczyk & Ula Malmon, American Corner Radom, and Beata Drozdowska, Dyrektor at Łaźnia Galeria. Radom community audience, and Steinway instrument, April 16, 2018. Photo: Joanna Gołąbek/Echo Dina Radom. 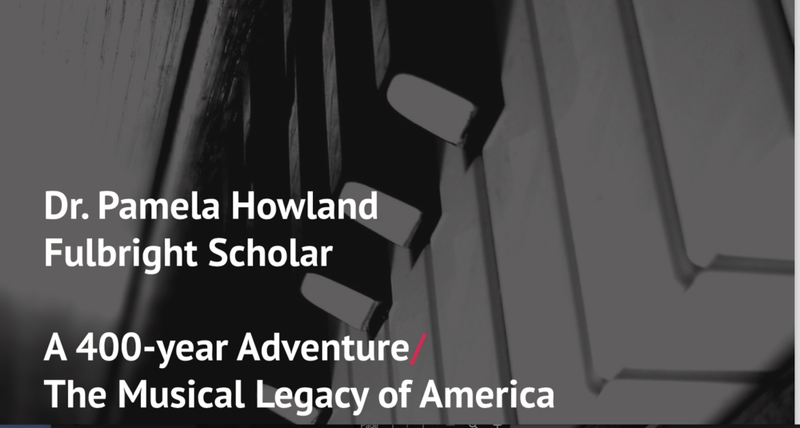 Performance Talk for Students of American Literature Studies & Department of Cultural Studies at The University of Warsaw, April 18, 2018. With students, my host Professor Justyna Włodarczyk. and colleagues, and Dan Hastings, Cultural Attache, U.S. Embassy, Warsaw (left), plus a podcast of the event: https://programrozszerzony.podbean.com/e/pamela-howland-on-the-american-musical-tradition/ Photo: University of Warsaw. Podcast: Professor Piotr Szymczak. Concert for the public at Poznań's most elegant shopping Mall - Stary Browar (the old renovated brewery). I truly enjoyed sharing my music with the many people who stayed for the entire show, as well as the many people passing through. It is great to be able to bring music to people in such an unusual venue. April 28, 2018. Masterclass/workshop given with Stan Breckenridge for one of the many active clubs at Adam Mickiewicz University's English Faculty, the Culture Vultures. It was fun to share our process in performing four-hand piano music, and to listen to students perform. May 8, 2018. Photo: Lisa Konczal/Vérité Creative.